The city of Cockburn is the government region in the Southern suburbs of WA which is just 8 KM far from the city of Perth. Getting rid of a junk car that is currently situated on your property in Cockburn Central, might seem like it will require for you to jump through many hoops. Especially if you have decided that you want to sell it. Because it goes without saying that most folk who want to purchase a car will not be interested in yours. Unless, that it, you live in Cockburn and those folks are us here at Perth Auto Wreckers. Not only will our Car Wreckers Cockburn 6164 crew buys that clunker off you, but we will pay you good cash too! It doesn’t matter whether the automobile in question is an SUV, 4×4, van, car, truck or Ute. We buy them all. Don’t leave that vehicle on your property to grow more rust a day longer. Get in touch with us by either calling us at 08 9452 8859 or filling out the form on our website! You can be rest assured that we are registered and licenced to wreck cars via standards that are in line with a healthy respect for the environment. This includes the proper recycling of the toxic fluids within the vehicle. 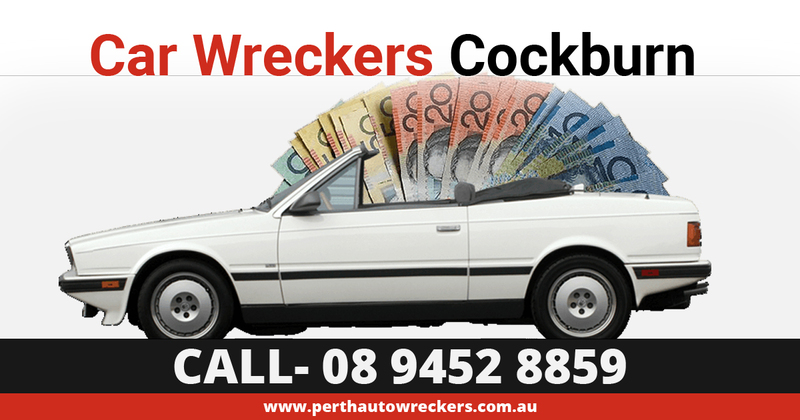 Get a free quote by contacting us or filling out the form on our website www.perthautowreckers.com.au. Tell us the model, make, age and condition your vehicle is in and we will respond faster. Get top cash for your vehicle today. You won’t be sorry! Of course, your car may be in perfect working order, but you just need to sell it fast. We cater to you too. We buy cars fast, and you will be able to get the cash you need within the same day that you contact us. Not only will we buy your vehicle fast, but we will also be sure to pay you good money as well. The amounts we pay can go up to $9’999. If you manage to get a better offer from one of our competitors, do tell us so that we can match it. No-one wants to sell something only to have money deducted from the value of the item in question for any reason. Cash for car services often does this by paying less money for vehicles in order to make up for the cost of removal. We here at Perth Auto Wreckers will not do this. Instead, we come over with our own removal equipment, remove your car, and we do this all free of any charge. This includes hidden charges. We cover all the urban and rural demographic regions that come under Cockburn Central. It’s including Hamilton Hill, Coogee, Henderson, Wattleup, Aubin Grove, Banjup, Atwell, Success, Beeliar, Jandakot (including Airport area), Yangebup, Spearwood, Bibra Lake, Leeming and the nearby ares. Contact us to verify your free pickup location and we have a deal. Our Cockburn 6164 Auto Wreckers aren’t one of those companies that only buys certain models or makes of vehicle. We want you to have access to Cockburn’s leading cash for cars service. Specialising in one or two makes will make this impossible for a sizeable portion of the population. Generally, we buy all major and popular make and models including European, Japanese, German, Korean, Australian (Holden) and classic brand of vehicles. So we buy them all, including such makes as Mazda, Nissan, Toyota, Peugeot, Ford, Suzuki, Hyundai, Subaru, Mitsubishi, Chrysler, Volkswagen, BMW, SsangYong, and many more.